A man choked to death after moving to a care home following conflicting details over his diet, an inquest heard. 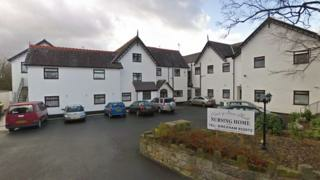 Ottorino Finzi, 88, died after being moved to Nant-y-Gaer care home in Llay near Wrexham due to his dementia. Manager Sarah Morris told the hearing his documents stated "soft diet", but he had been given a normal one at his previous care home. He choked on a sandwich on 14 March 2018. Coroner John Gittins recorded a conclusion of accidental death. Mr Finzi had been a resident at Wepre Villa Care Home in Connah's Quay since 2014, but was moved to Nant-y-Gaer - now known as Wrexham Care Centre - as it specialised in dementia care. The inquest in Ruthin Denbighshire, heard Ms Morris twice visited Wepre Villa prior to Mr Finzi's transfer and his care plan and assessment were discussed. She agreed the documents she received stated "soft diet" on the top, but the meals he had been receiving clearly showed he was on a normal diet. "As a rule we would go along with what is in the file and the information we received was that he was on a normal diet," she said. Mr Finzi's daughter Suzanne Miotti said her father had been on a soft diet at Wepre Villa for a considerable time, with food being pureed for him. On the day of his death, Ms Morris said Mr Finzi ate toast for breakfast with no problems. However, when he was being helped with a sandwich later, he started to choke. Despite efforts of staff and paramedics, he was pronounced dead at the scene. Ms Morris said procedures surrounding the transfer of patients had since been tightened. Coroner Mr Gittins called it "a very difficult case" and, when the inquest began in August last year, said he had grave concerns about the assessment which resulted in Mr Finzi receiving appropriate food. He asked Ms Morris to provide him with written evidence of the new procedures. Speaking after the hearing, Mr Finzi's son Tony said: "We don't want any other family to have to go through what we have gone through."